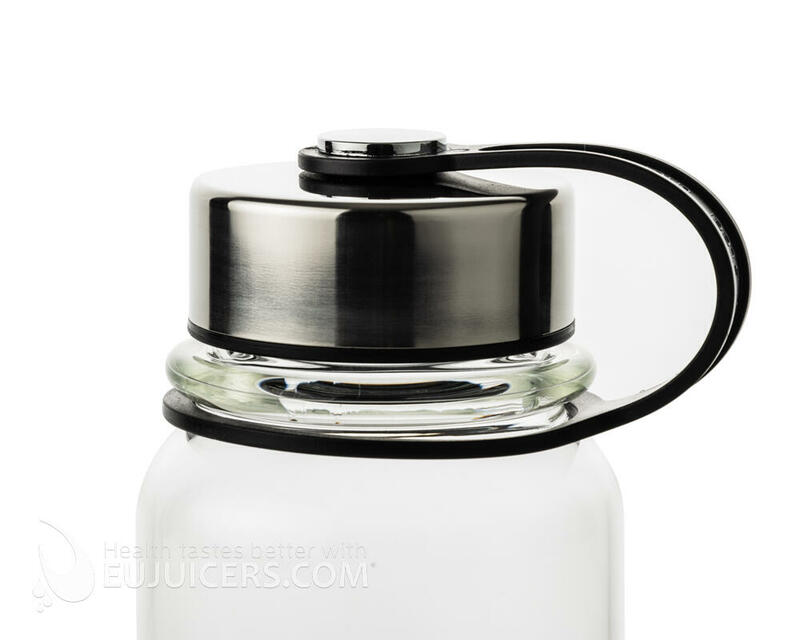 Made from heat-resistant and BPA-free borosilicate glass, this 750 ml glass bottle is ideal for storing your juice or taking it with you to work or the gym. 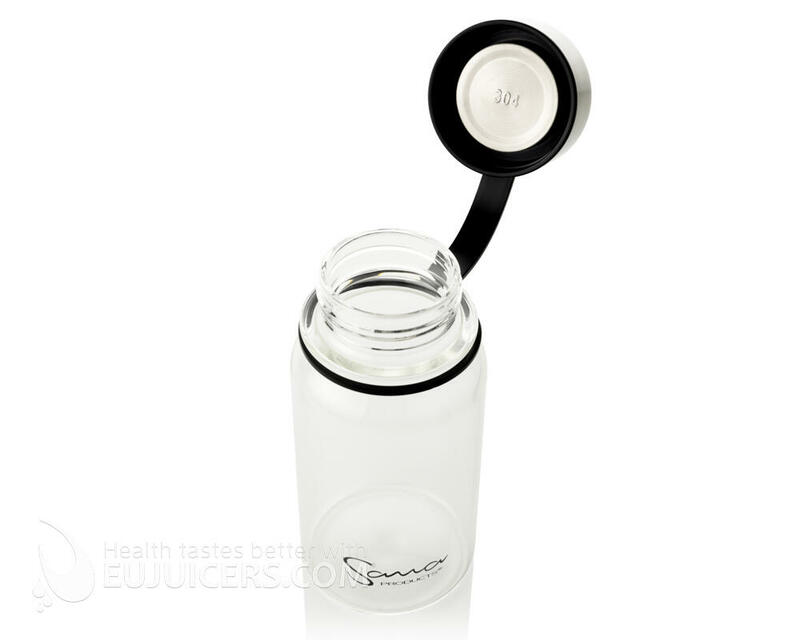 The cap has an SU304 food-grade stainless steel stopper and silicone seal, with plastic threads which don't come into contact with the juice. 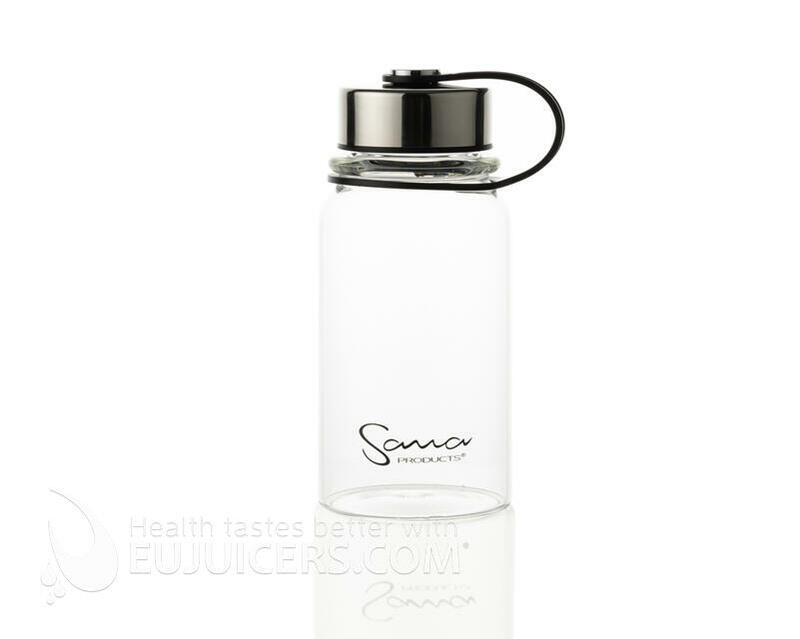 Extra wide for stability, but not too big to fit in most cup holders, it is the most hygienic way to keep your juice fresh.